This video describes the support provided by the USAID/COMFISH Project for the co-management of 'thiof' or grouper in Senegal. Approval of the NAP-Fisheries document by the two ministers. 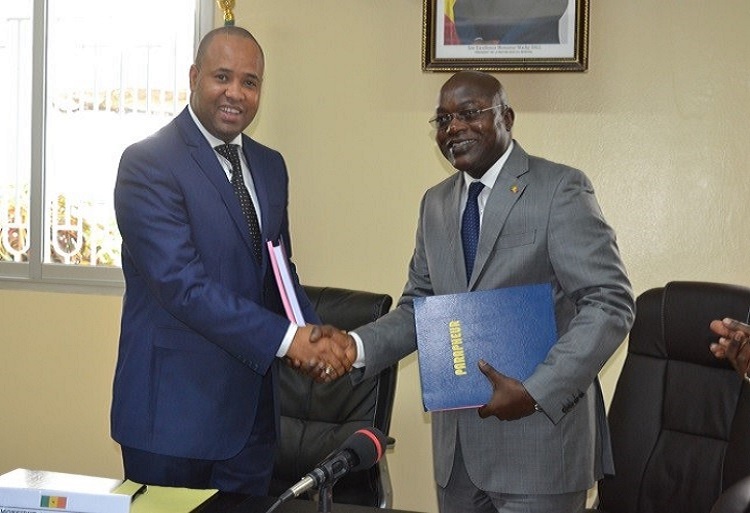 Senegal is taking a sectoral approach to its NAP process with the development of sectoral NAPs—this process was first successfully completed in 2016 in one of the pillars of the country’s economy: the fisheries sector. While such sectoral approach to the NAP process is not unique to Senegal, a distinction here is that the process started from the bottom-up, with local adaptation plans informing the development of the NAP for the fisheries sector. Generating approximately 600,000 direct and indirect jobs (in 2015), the fisheries sector in Senegal greatly contributes to the nation’s food security, with over half of the total animal protein intake coming from it. However, the coastal zone—on which it largely depends on and where two thirds of the population lives—is particularly vulnerable to climate change. Coastal erosion is already rendering a large part of the coastline uninhabitable. Observed rising sea levels, higher temperatures and ocean acidification are also associated with increased flooding, more intense storms, shifts in fish populations, and the intrusion of saltwater in coastal aquifers and soils among other observed negative impacts. To increase the resilience of Senegal’s coastal communities to climate change, the USAID/COMFISH initiative (Collaborative Management for a Sustainable Fisheries Future in Senegal) was launched in 2011. It is supported by USAID, and implemented by the Coastal Resources Center at the University of Rhode Island in the United States. identifying and taking actions that increase climate resilience. Starting with the development of six local climate adaptation plans, the project culminated in 2016 with the formulation of a NAP for the entire fisheries sector. Four key lessons were drawn from this experience, for better integration of climate adaptation in local and national planning documents. 1 | Understanding and involving actors at all levels. The need to involve institutions at all levels to work together on the issue for a given sector has been of paramount importance to the success of all adaptation planning exercises. Linked to this, the process revealed the importance of developing a good understanding of all the stakeholders involved in national and local climate change activities, and their commitments. Consideration of the concerns and adaptation needs of all stakeholders involved at both national and local level is needed for a planning that is inclusive and sustainable. 2 | Identifying the most effective leverage/entry point. It is important to find the most effective strategies to influence the sector concerned to integrate climate adaptation into its policies and strategies. One of the strategies is to work for the ownership of the whole process by grassroots communities, which in the case of Senegal eventually became a means of pressure for the central authorities to join the process. 3 | Establishing coordination mechanisms at all levels. For sustainability reasons but also for harmonization of implementation actions between the national and local levels, it is imperative to create coordination committees on the climate change. 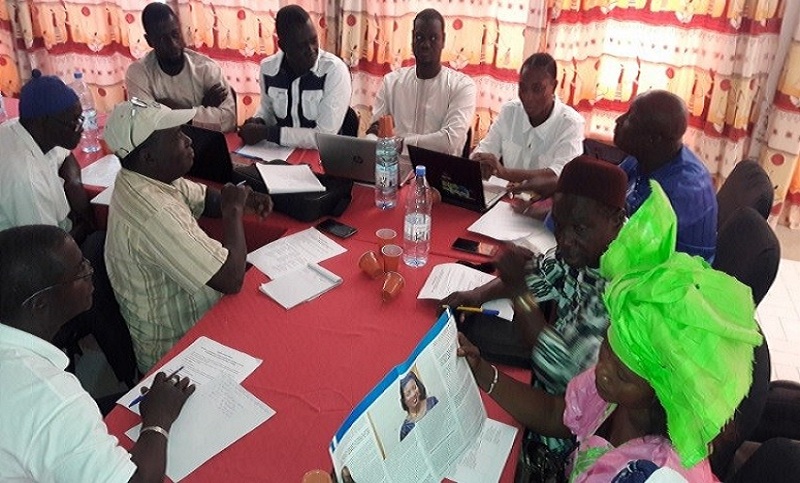 In Senegal, a national climate change fisheries platform and local committees have been set up in 2015 to support the implementation, and monitoring and evaluation of the NAP-fisheries and local climate change adaptation plans respectively. 4 | On-going technical mentoring at all levels. As climate change is a complex issue, technical (and financial) support is needed at all levels. For example, the COMFISH project has been supporting the strengthening of institutional and stakeholder capacities at all levels (local, regional and national) to implement an ecosystem-based approach towards sustainable fisheries, taking into account climate change impacts in the fisheries sector. This blog was written by Dr. Khady Sané Diouf (Project Director) and Ms. Fatou Thiaw (Climate Change Officer)—representatives from the Collaborative Management for a Sustainable Fisheries Future in Senegal (COMFISH) initiative—in January 2018, at the invitation of the NAP Global Network. Designing robust, flexible adaptation strategies for national adaptation plans. This policy brief looks at how Jamaica initiated sector integration of adaptation considerations in the NAP process. This study assessed the perceptions of key stakeholders in Belgium on their responsibilities and the effectiveness of the local implementation of national heat wave plans in Brussels. This article proposes a framework for mapping out the links between National Adaptation Plan (NAP) processes and Nationally Determined Contributions (NDCs). This photobook highlights activities from the "Supporting Moldova’s National Climate Change Adaptation Planning Process" including adaptation stories, publications and resources. This project aims to inform policymakers and stakeholders on biofuels expansion scenarios to 2030 that would support sustainable adaptation in the agricultural and bioenergy sectors of Brazil. CDKN and Ricardo Energy & Environment have developed a new ‘Quick-Start Guide’ to support planning for Nationally Determined Contribution (NDC) implementation. The Africa Climate Change Resilience Alliance programme is made up of Oxfam GB, ODI, Save the Children International, Care International and World Vision International. Generating knowledge to integrate disaster risk reduction (DRR) with equitable, sustainable and resilient development, recognizing that development and DRR are interlinked. Enhancing ecosystem services to support climate adaptation.